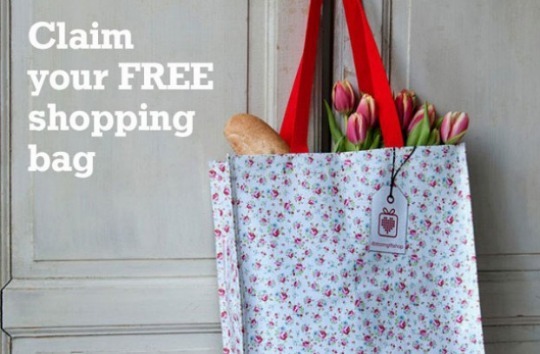 Good to Know and Dotcomgiftshop have joined forces to give way 10,000 FREE Eco-Friendly Shopping Bags. As you will already know, there is now a 5p fee for each single use Carrier bag you require in a UK shop. Save all those 5p's and get yourself one of these FREE reusable bags, to take shopping. Word of warning, the site is super slow but do persevere as there are still FREE Shopping bags left. Tick the box and click 'Continue’ below. The bag and discount coupon will be added to your basket. Go to checkout or carry on shopping and enter your delivery address and click ‘Make payment’ to complete the process. Claim your bag by midnight 7th October 2015. You won't have to pay a thing and won't have to enter credit card details unless you are buying other items. Be QUICK before they all go! I just ordered one fine.